Hope you all had a lovely week! I just got back from Savannah visiting my daughter, her husband and Louisa. So, so wonderful. We did a little Christmas decorating - I found a darling vintage Santa and reindeer for one of their mantles. Poor Louisa is teething, which she has been practically her whole life. I didn't know babies could start teething at two months! Louisa teethed that whole time and didn't get any teeth until she was about 10 months. She's got two teeth now and I'm afraid every tooth is going to be hard won. She is so sweet, in spite of not feeling very good! You can see her two teeth, plus on the floor, the mess we've started with her ice cream cart! 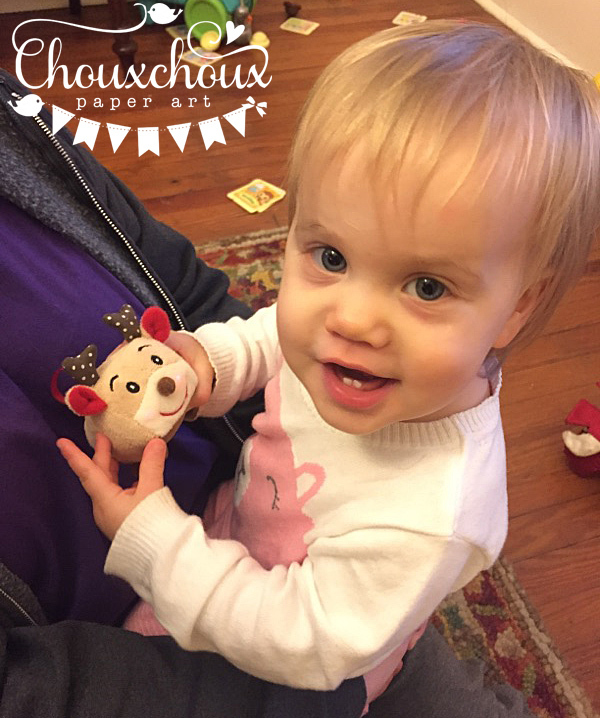 That little reindeer's cheeks light up and it sings. Louisa is singing "All I Want for Christmas Is my Two (Top) Front Teeth"! Both of these images, the girl and boy with umbrellas, are sweet, too. I love how soft and pretty they are. 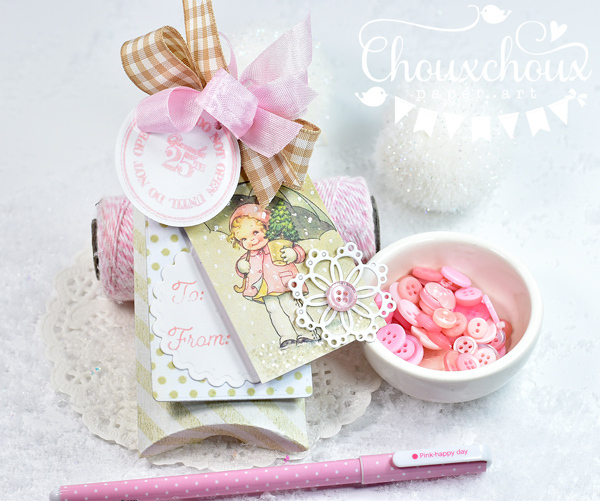 I made a double tag with the little girl to top a pillow box and turned the little boy into a card. They both got a bit of sparkle and some Copic Opaque White snow. If you would like to create a little something with them, I've got them ready to download below. You can download the Christmas Kids with Umbrellas HERE. If your name is listed above, email me at lhairston@cox.net or use the button in my sidebar. Congratulations!!! Thank you to everyone who hopped around and left such sweet comments for all the lovely projects! 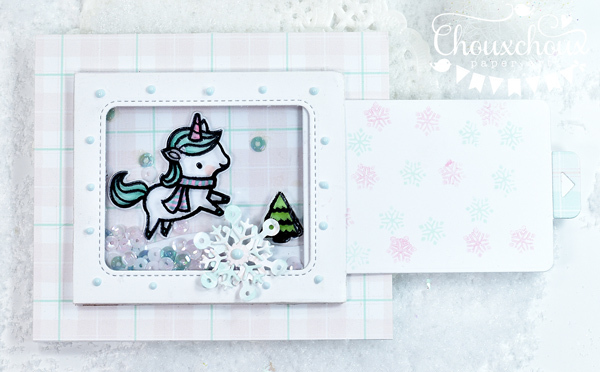 I'll be sharing projects I've made from the Snowman Embellishment Kit later in the week (as well as that video I promised on the magic slider/shaker card). I added two small prizes of flair from my etsy shop. 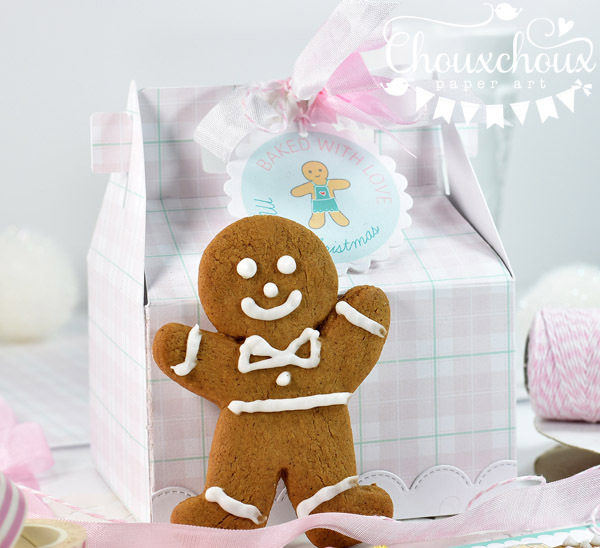 I think the snowman and gingerbread girl are adorable! The VOSP Challenge is still open. Check it out HERE. Prize is $20.00 to Mama Elephant. 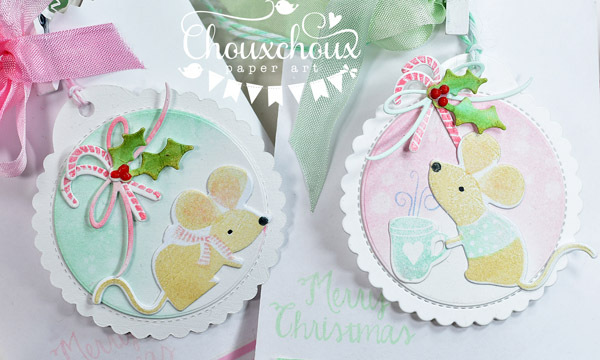 It's the last day of Visions of Sugarplums! So glad you've hopped with us. I'll be announcing the winners on Sunday, December 10th. So be sure to come back to see if you've won! A big thank you to everyone who created such wonderful projects for us to enjoy and to all of you who have sponsored Visions of Sugarplums this year. I appreciate you all! I just love sweet little Christmas houses. I make one almost every year. Well, probably no almost about it. I really like them! 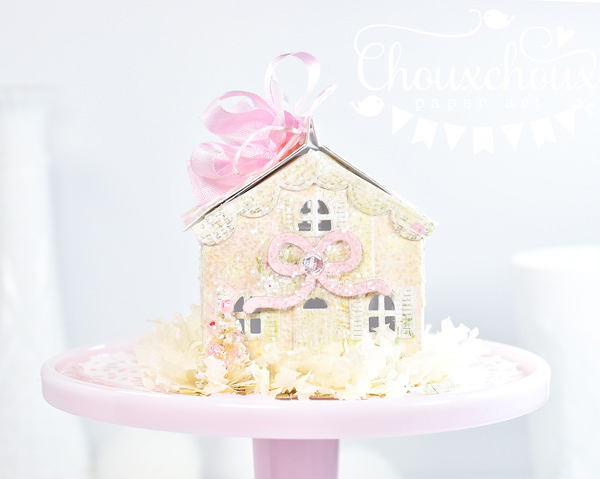 What makes this sweet little house is the very pretty papers from Iralamija Shop. The very suble pink and creme is just gorgeous. 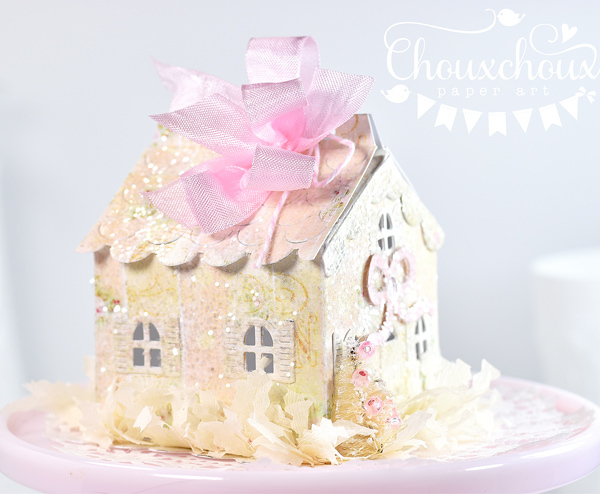 The house was super easy to make because of the dies from Papertrey Ink. What do you think about the crepe paper fringe? I think maybe it adds an element of fun. This mini album isn't finished yet and I'll share it again when it is. I'm going to use it for Christmas this year and fill it with pictures of ....(can you guess?)... my granddaughter, Louisa! She just turned one, so Christmas is going to be a lot of fun! 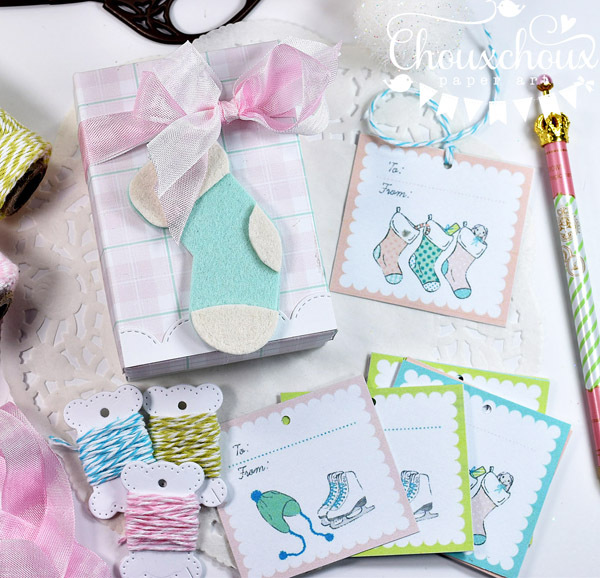 These adorable postcards are also from Bety's shop, Iralamija. They are perfect for cards or a mini album like mine. 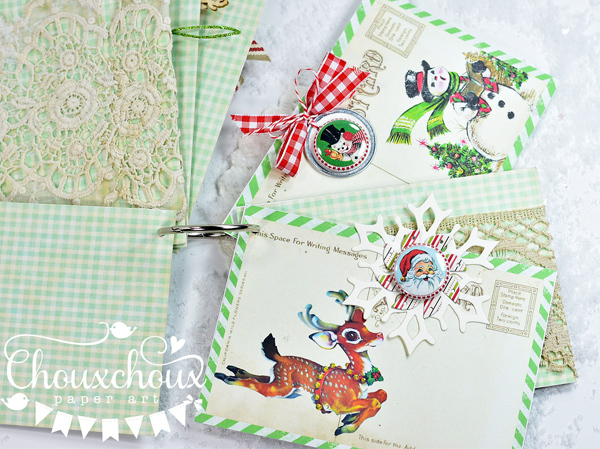 Won't it be fun to add Louisa and journaling and more little Christmas goodies? 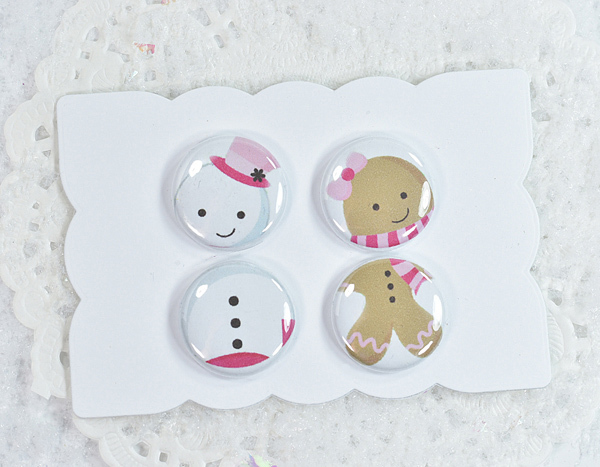 The cute flair are in my etsy shop. 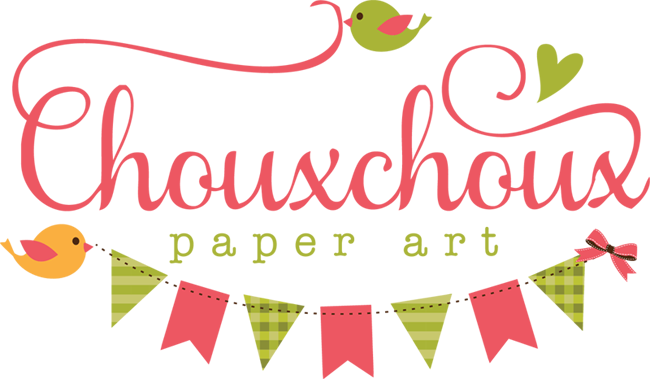 Starting today through Sunday, December 10th, get 10% off in my shop with the code: SUGARPLUM. 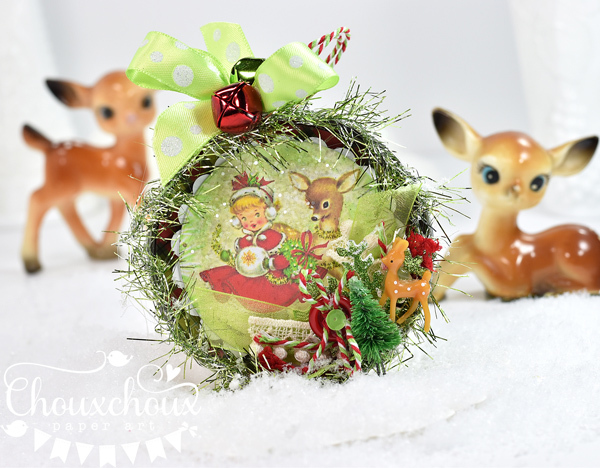 Next up, a mason jar lid ornament. I've done several of these, too. If you like the image, I've got it ready for you to download below to use in one of your Christmas creations. 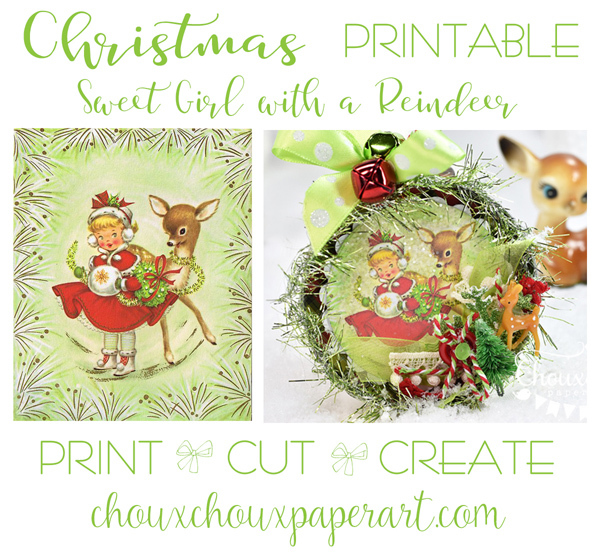 You can download the girl with reindeer HERE. 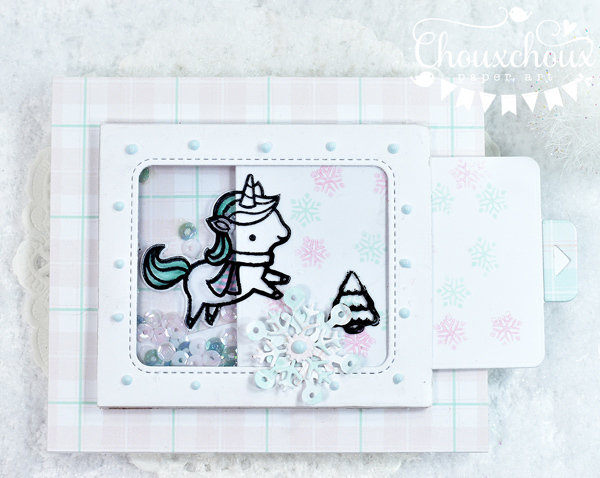 I had to make it a Magic Slider meets a Shaker Card! It's just so fun! Not only is the color revealed when you pull the tab, but it's a shaker card, too! And a look at the inside. 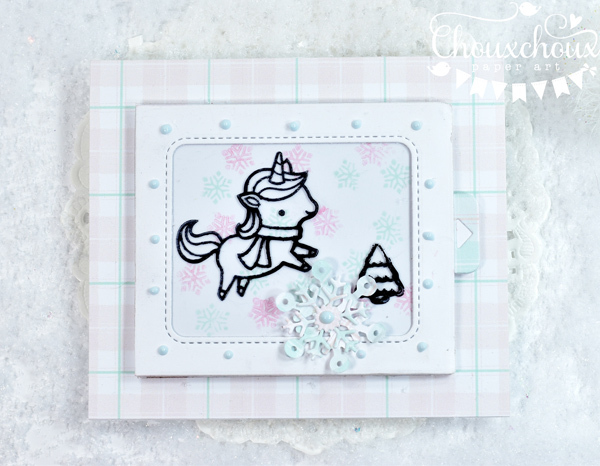 Love that sweet little unicorn! How about a video on how to turn the Magic Slider into a "Magic Slider+Shaker"? I'll do one next week and get it posted. Come back for that! I'm heading to Savannah to see Louisa, so I'll have to do it when I get back. My husband is the official "draw-the-names-out" guy. Yes, we go old school here! Winners will be announced Sunday, December 10th. So you have until Saturday night at midnight to leave comments. You can find the Challenge link HERE. 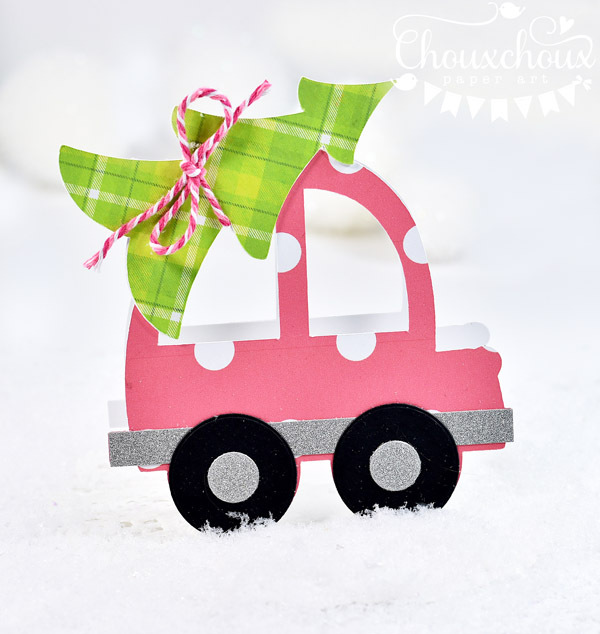 Be sure to come back often during December for more free printables and Christmas ideas. Welcome back! Wasn't it fun yesterday hopping around to see all the Christmas goodies? It's Day Two of Visions of Sugarplums. We've got lots of projects for you to see today. Don't forget that the more hopping and commenting you do, the better the chance of winning one of our prizes. 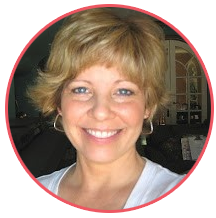 (Thank you, Regina, for being one of our sponsors). I used circle dies to cut the tires. The silver glitter piece is 3/8" and then cut to fit the length of the car. 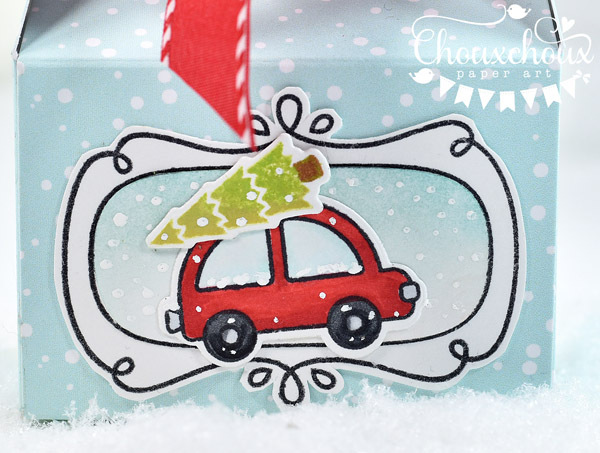 How about another cute little car and tree? And I have to say I love that cool doodle frame, too. 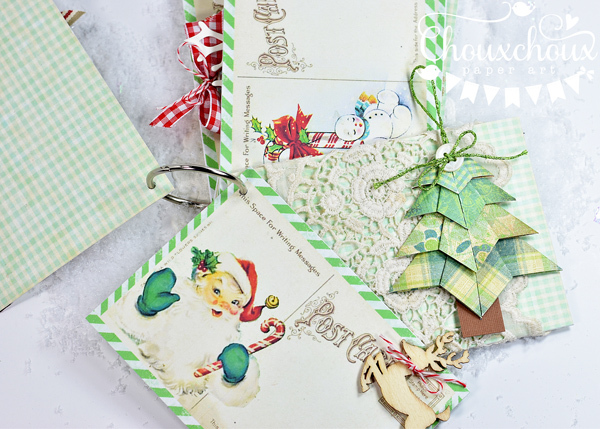 (These stamps and dies come from Lawn Fawn - a sponsor of VOSP.) 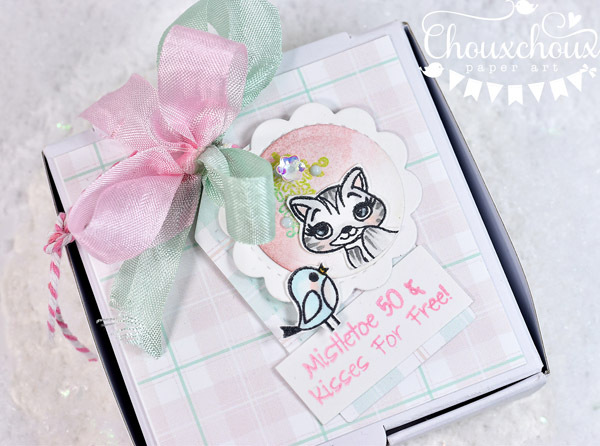 The pretty blue paper comes from another sponsor, AmyJDelightful. I found it easier to just cut out the middle and ink it up rather than trying to mask off the rest of the frame. After putting all the tag pieces together. 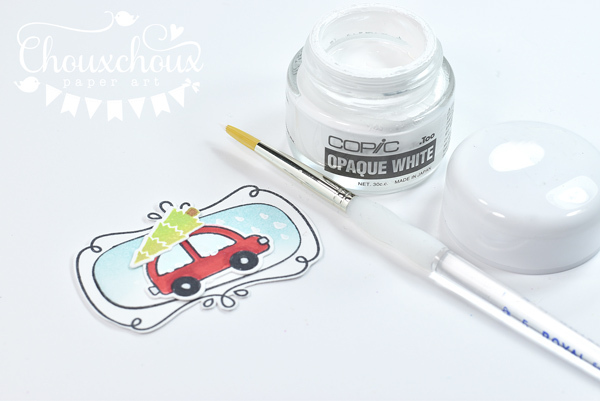 I used Copic Opaque White to create some snow. Just dotted it on with small paintbrush. 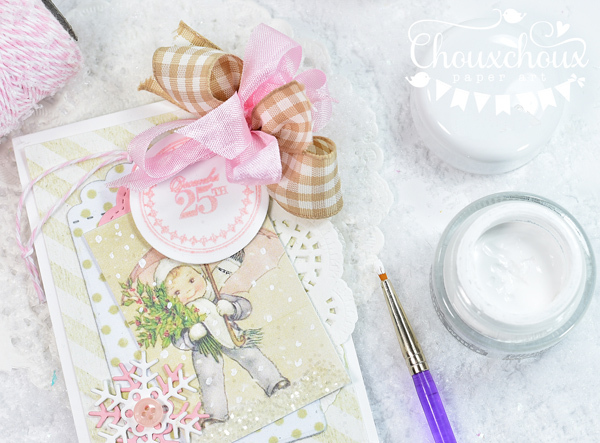 On this closeup,you can see the snowflakes made with Copic Opaque White. Mistletoe 50 cents and Kisses For Free! Do you see my smile? 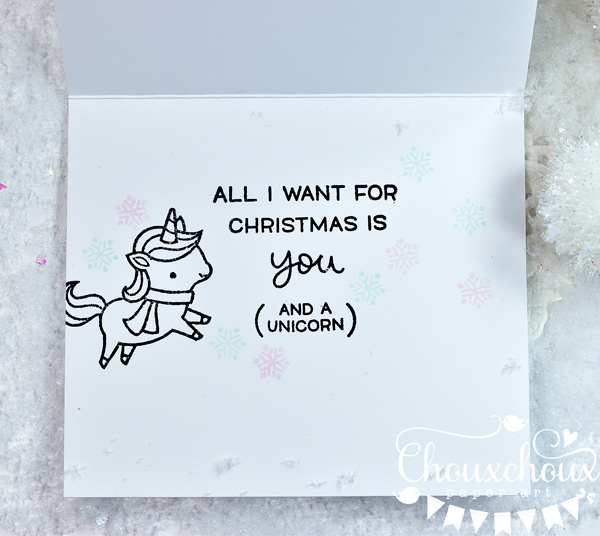 I think that sentiment is so cute. 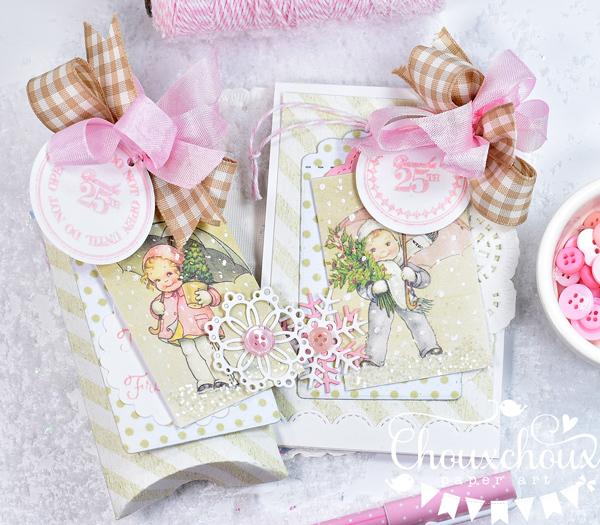 The stamps and dies are all from Paper Sweeties (Thank you, Debbie for sponsoring VOSP). Such a sweet kitty and tiny bird. The paper is from Amy again. I inked up a circle and layered it on top of the scallop tag. I didn't cut the middle out of this one. Just die cut a circle and layered it on top. The kitty has been cut off to fit the curve of the circle. Here is a great idea for easy packaging. Envelope bags! I think they're a great idea and I use them a lot. Seriously that's it! 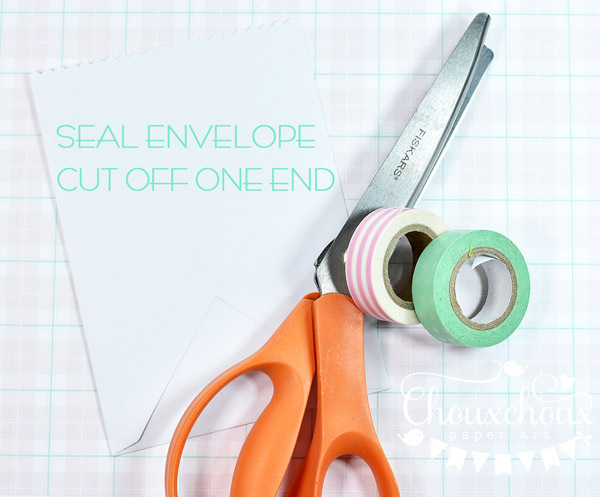 Seal the envelope and cut off one end. 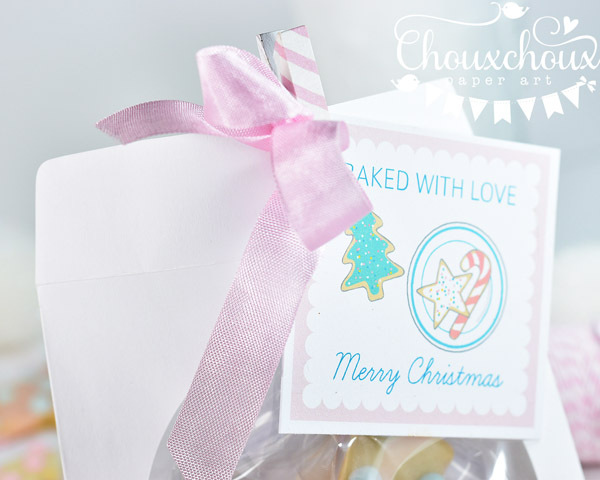 Instant gift bag! Of course, the mice tags are a little more involved. You can see the base of the tags were made the same as the one above. Tip: The mice have a very nice texture. 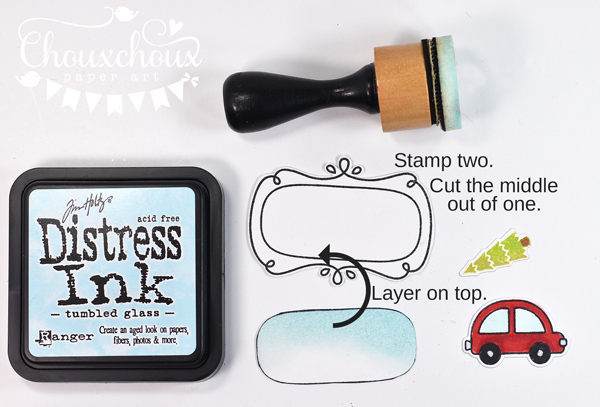 I sponged the ink onto the stamp, instead of putting the ink pad direct to the stamp. 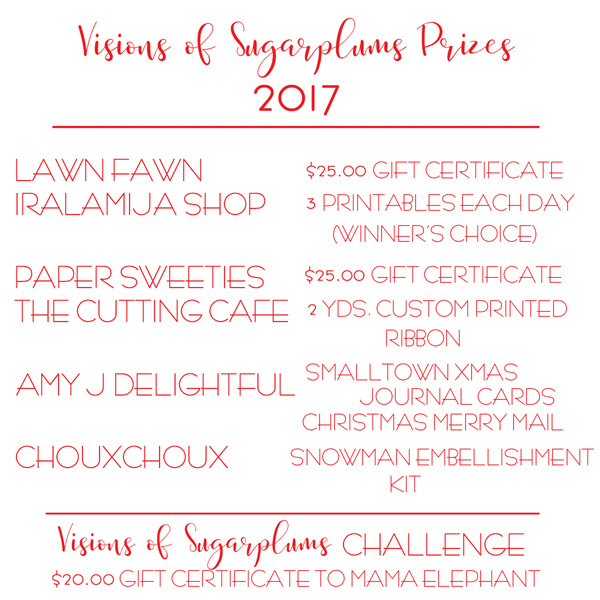 Visions of Sugarplums has some really nice prizes for you! If you haven't already, check out the cute polar bear on the Challenge post. I'll count comments you leave on the Challenge post too! Let's go visiting! We've got a nice long list - Paper Sweeties DT member are joining us today. Can't wait to see all the goodies! Come back tomorrow for the last day of Visions of Sugarplums. Lots more Christmas fun. See you here! 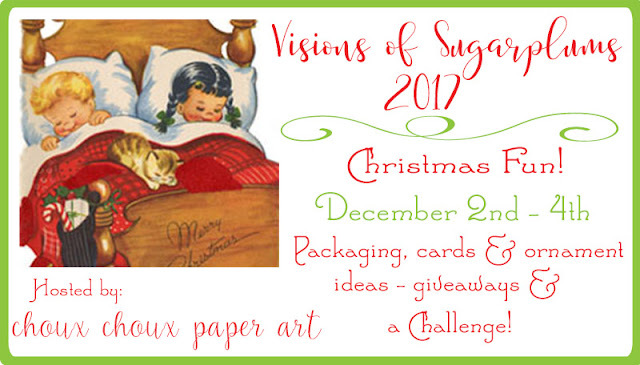 Welcome to Visions of Sugarplums! Can you believe this is the 7th year? 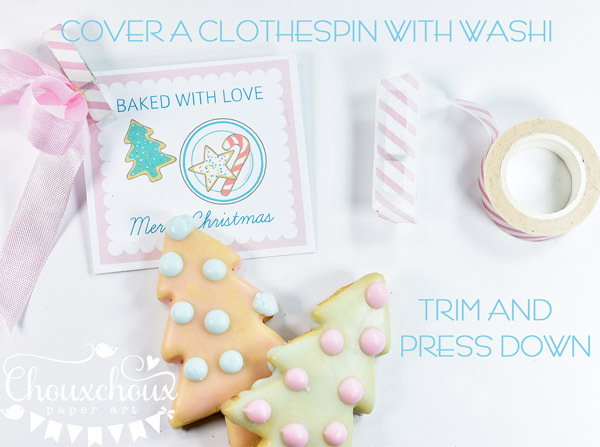 I've had the best time hosting this Christmas blog event. We hope you'll join us all three days. 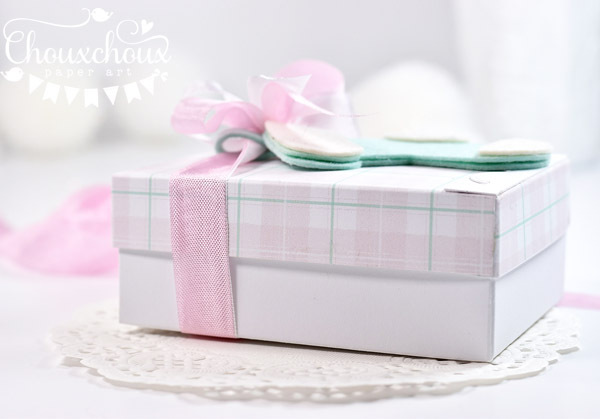 Today I've got a few packaging ideas - easy and fun! My house smells so good! I just got through baking sugar cookies and gingerbread men. I couldn't resist licking the beaters. Do you do that too? Has to be my favorite part! 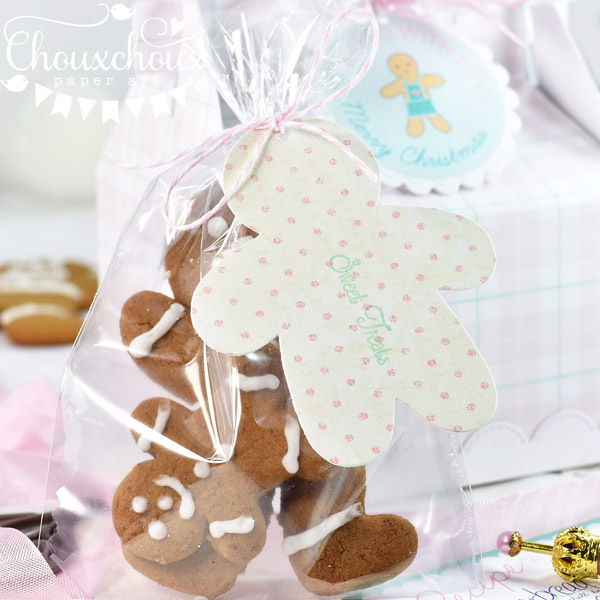 I think the gingerbread men would make a sweet tasting gift for Christmas. I love gable boxes, but my gable box die was way too small. This gable box is a cut file from The Cutting Cafe (one of our sponsors). What is great is that I can size it to fit my gingerbread men. If you don't have an electronic cutting machine, a PDF file is included. Check out that cute tag. 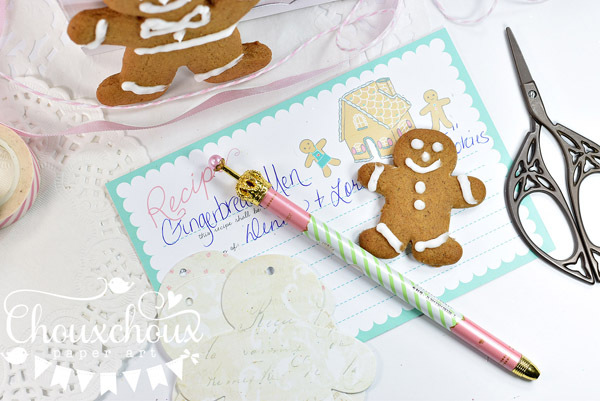 It's part of a printable from AmyJDelightful (another Visions of Sugarplums sponsor). The pretty pink plaid is also from Amy's store. 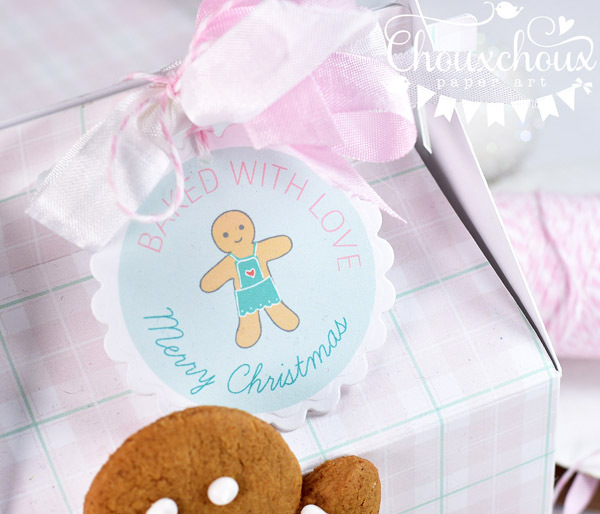 I also put together a simple bag with a gingerbread man tag made with a die from Paper Sweeties and paper from Iralamija Shop (both sponsors of VOSP). Well, I also needed to package my sugar cookies. I dropped a star and a tree in a bag, tied the top with twine and then placed them in a paper CD case. added another tag from AmyJDelightful. Here's a recipe card, too! 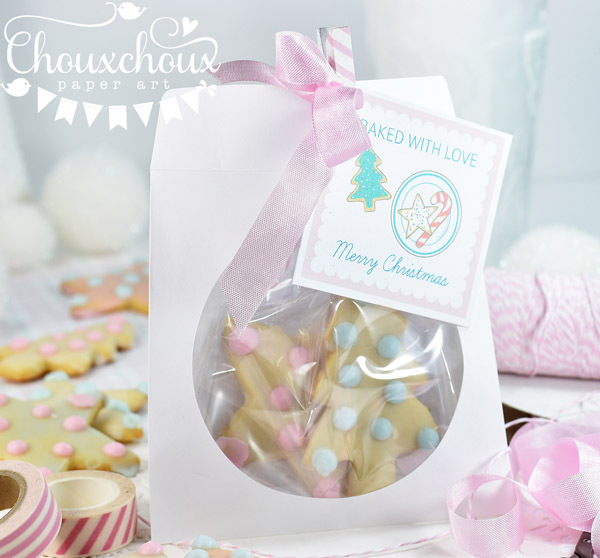 Are you thinking cookie party or gifts for co-workers or Secret Santa? 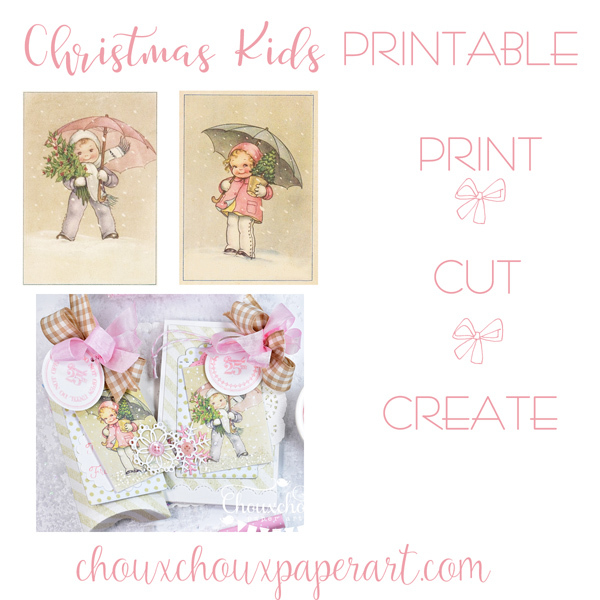 This printable set would make it super easy! 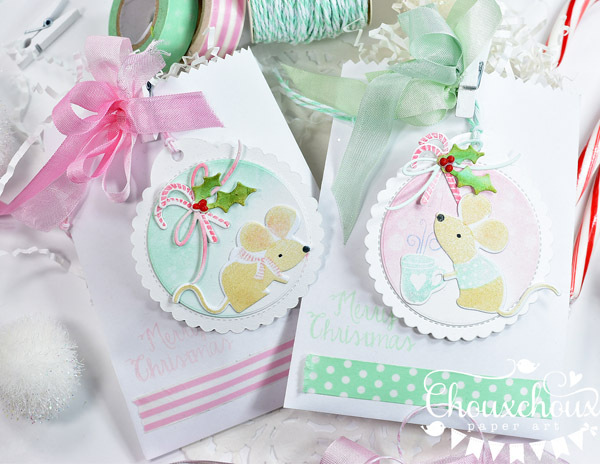 Another fun idea for secret santa (or for a friend) is a tag kit. Amy makes this super easy too! 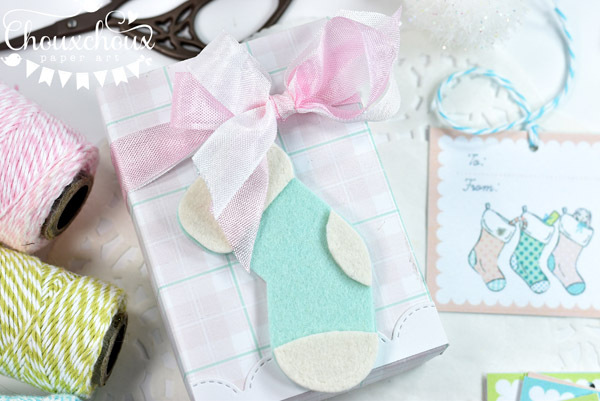 I adore that sweet felt stocking! It's a die from Paper Sweeties. My husband walked by as I was putting all this together. He said "That's cute." Now, if you knew my husband, you would know that is pretty amazing. He doesn't say all that much! So that's a little hard to see. Cut the top at 4 1/4 x 5 1/2". 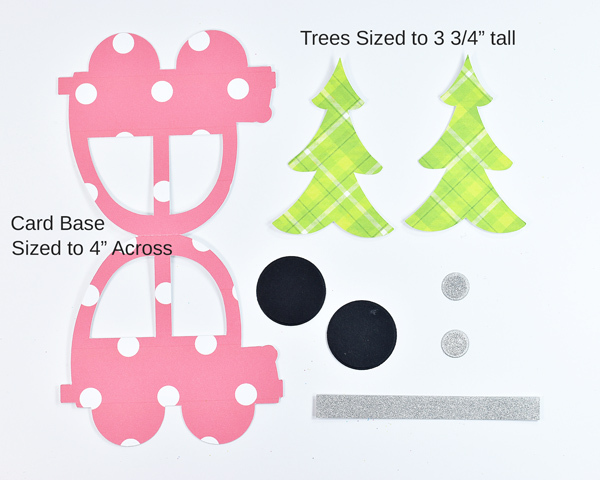 Score on all 4 sides at 3/4". Cut the bottom at 5 3/4" x 7". Here's the tip: When using heavy paper (this is 120lb), shave just a hair off each dimension. Cut off about 1/16" of an inch. If you use lighter paper, 80 lb or so, it has some give and you can use the dimesions as listed. Heavy paper basically as no give and the bottom won't fit into the top, if you don't shave off a little. 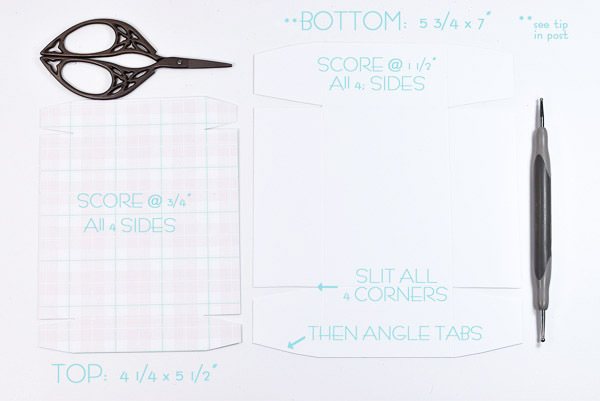 Score the bottom at 1/12" on all 4 sides. Slit the corners and angle the tabs. Fold on scores and glue tabs. 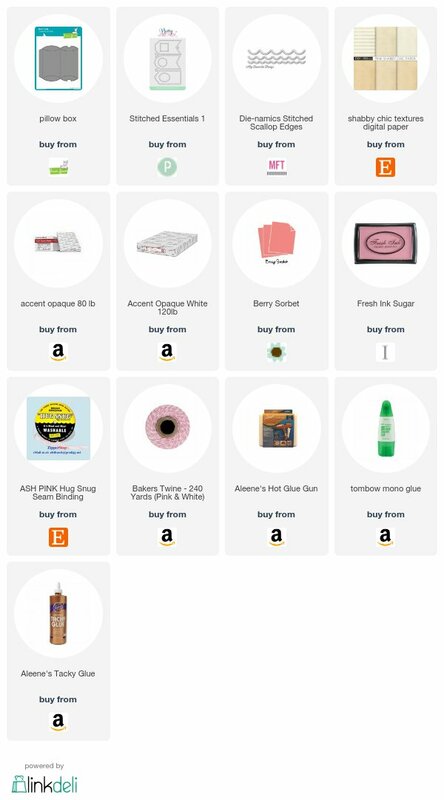 So let's talk prizes. Thank you to all of this year's sponsors! I appreciate you so much. Have fun! And come back tomorrow for more Visions of Sugarplums!